Where do you go when you need the best information on Disneyland Railroad and steam engine operations? North Carolina, of course! This month, I visited an accomplished author and good friend, Steve DeGaetano. Steve has four published books on the history of the Disneyland Railroad. Most of you have probably talked to him on the Burnsland forums, so his authority on the subject is quite established. He is now currently a fireman and engineer at the New Hope Valley Railroad, a volunteer-run organization, in North Carolina. I had an opportunity to spend a day with his unique little 0-4-0 engine, and try my hands at pulling the levers and turning the valves to see how these controls really feel. And they really feel different than what I had imagined! So you can bet that I’ll be finding a way to mimic these feelings in the simulator. We also dove under and climbed over the engine to get a good look at rarely seen mechanisms, like the burner, the blowdown pipe, and even the link block and eccentric rods in motion when the Johnson bar is shifted! Steve also explained how many of the components on the engine work, and how the engine operates, all of which are very similar to the Disney engines. Let’s kick off the new year with a new preview video… and let’s make it over an hour long so we can really get into the meat of the sim. In this video, we’ll look at the fine 3D model from the exterior of the train and the cab. Then, we’ll fire up the Holliday, and take her out for a quick trip around the test track ranch. I’ll also try to point out some of the interesting sights and sounds on the engine and in the sim, as well as explaining the procedure and process of operating the engine. So, let’s get right into the video, and I’ll let the footage speak for itself. I didn’t get a chance to really explain the function of each appliance and each option in the menu this time. I’ll make another video for those, and I also to point out some of the finer details. 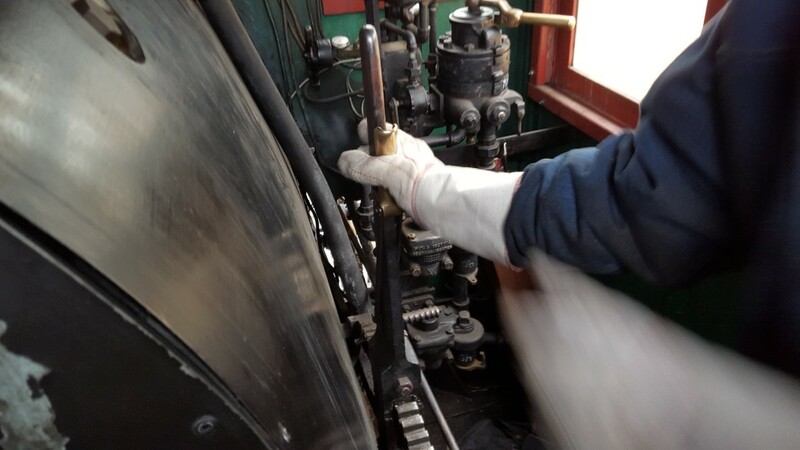 (Did you notice that when the engine is moving, there was a short, audible `beep’ from the water alarm, due to the sloshing water in the boiler? It’s at 43:48). Meanwhile, enjoy the first, in-depth look at the sim, coming to your desktop in the near future!